Summit County Children Services (SCCS) maintains focus on its mission of safety, permanency and well-being of children served in partnership with families and the community. 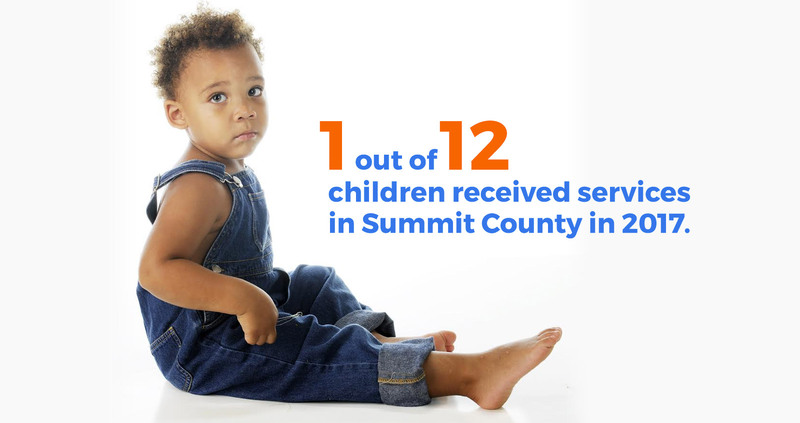 For over 100 years, the number of children needing intervention in Summit County has increased. The trauma experienced by children has left them with complex needs requiring extensive services. At the same time, agency resources and funding have been stretched to provide the services children need. 9,719 children received agency services in 2017. That’s 1 out of every 12 children in Summit County. 36% increase in the number of children since 2012. Since 2008, revenue for SCCS has decreased by $60 million. As a result, SCCS has had to decrease its staff by 35% compared to prior decades. In order to continue the critical work of ‘keeping children safe,’ SCCS will place its levy on the November 6, 2018 ballot. It is a 2.25 mill renewal levy with a 1 mill increase and provides nearly 60 percent of the agency’s operating budget. The 1 mill increase would cost the owner of a $100,000 home less than 10 cents a day.